I love all things Fall, and just had to find a recipe that included one of the season's most popular vegetables: butternut squash. At first I thought I'd try a soup, so I could use my new kitchen gadget, but then I found a box of risotto in my cupboard and knew what had to be done. 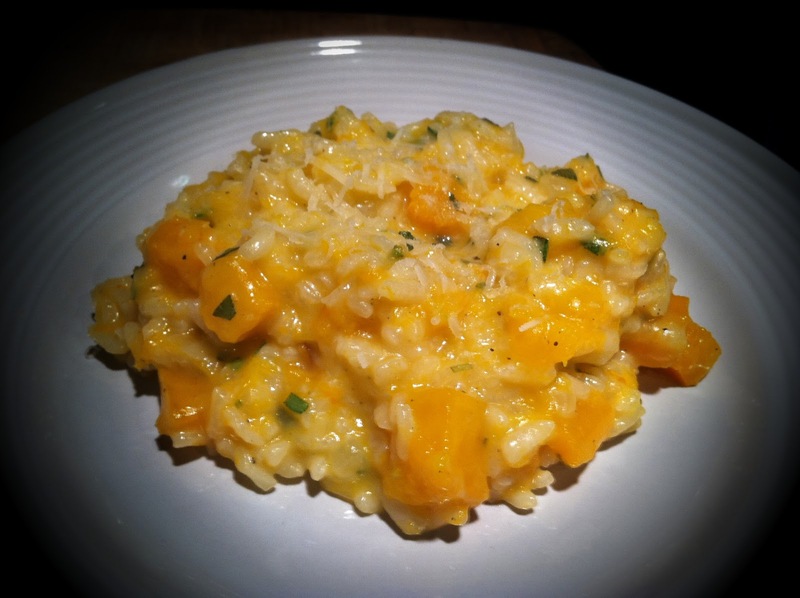 This butternut squash risotto recipe is A-M-A-Z-I-N-G. It's creamy, slightly sweet from the butternut, and balanced with herby sage. Total keeper. 1. Heat chicken stock in a saucepan on medium-high. 2. Preheat oven to 400 degrees. Peel butternut squash, dice in 1/2" cubes and place on baking sheet. Drizzle with olive oil and season with salt and pepper. Bake for approximately 30 minutes, or until tender. 3. While the butternut squash is roasting, melt butter and saute onions in a large pan over medium low heat until the onions are translucent. 4. 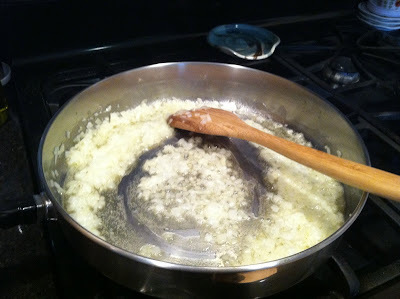 Add rice, stirring to coat with butter/onion mixture. Add white wine and stir until absorbed. 5. Begin adding chicken stock, one ladle at a time. Stir fairly constantly and allow chicken stock to be almost entirely absorbed before adding another ladle. At some point in the middle of stirring, add 1 tablespoon of the sage. This process should take approximately a 1/2 hour, and by then end of it the rice should be al dente and your roasted butternut squash will be ready! 6. Mash 1/2 of the roasted squash and stir into the rice. Stir in Parmesan cheese and remaining sage. Season with salt and pepper, as needed. 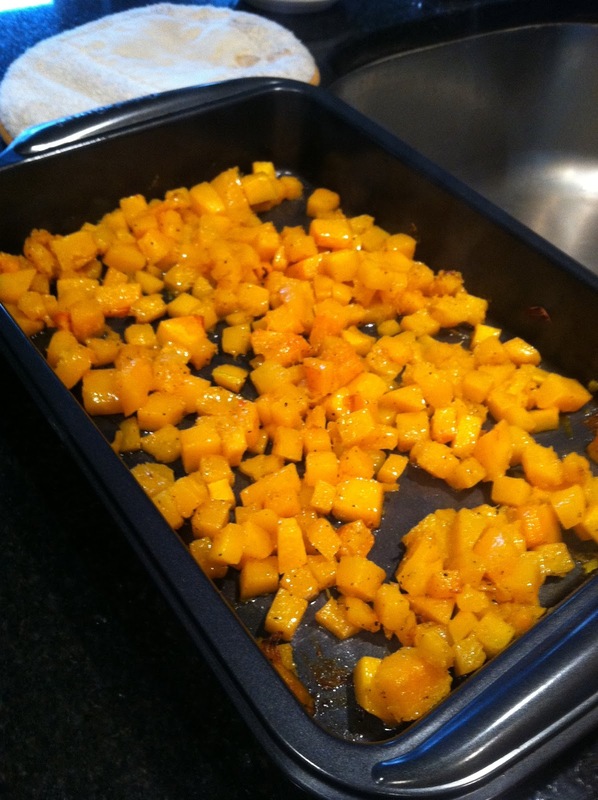 Add remaining cubes of butternut squash. 7. Serve risotto as an appetizer or main entree and garnish with Parmesan. Its a very easy recipe i love it,i thought risottos were very hard to make? I would love to make this but what could i use as a substitute for the white wine you used?